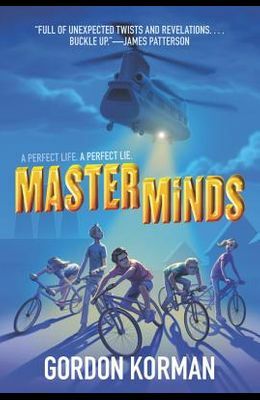 The first book in the action-packed series from New York Times bestselling author Gordon Korman is perfect for young fans of James Patterson and John Grisham. Eli Frieden lives in the most perfect town in the world: Serenity, New Mexico. Honesty and integrity are valued above all else. The thirty kids who live there never lie--they know it's a short leap from that to the awful problems of other, less fortunate places. Eli has never left Serenity...why would he ever want to? Then one day, he bikes to the edge of the city limits and something so crazy and unexpected happens, it changes everything. Eli convinces his friends to help him investigate further, and soon it becomes clear that nothing is as it seems in Serenity. The clues mount to reveal a shocking discovery, connecting their ideal crime-free community to some of the greatest criminal masterminds ever known. The kids realize they can trust no one--least of all their own parents.